Monday night my mom and I went to a book signing. Now usually a book signing is something I go to with a friend (if I can get one to come with me) or by myself but my mom came along this time because she knew who the author was. 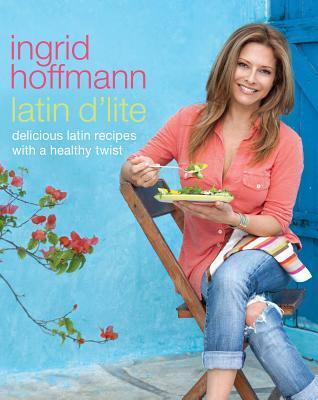 Ingrid Hoffman, a celebrity chef was promoting her book, Latin d'Lite. She has a cooking show called Delicioso that airs on Univision and she also has a show on The Cooking Channel called Simply Delicioso and my family has seen a few of her show’s episodes so I am sure my brother and sister would have liked to come too but the signing was at 7 and my mom works late so we went straight after work. The store, Books & Books, doesn't do any advertising for their author events so I wasn't surprised that there were a lot of empty seats at the signing (especially since it was a Monday night). I mean the only reason I knew about it is because I receive emails directly from the store and then I told my mom about it. Despite the small group the signing was great. Ingrid was very laid back and honest and she had a lot of energy as she went through her presentation. She not only talked about the book itself (why she decided to create it and what it was about) but she took us all through the makings of the book, the behind the scenes, and she had pictures to show us on a slideshow. It was very informative and interesting to learn and see how much work actually goes into making a cook book and oh my god A LOT of work goes into making a cook book. 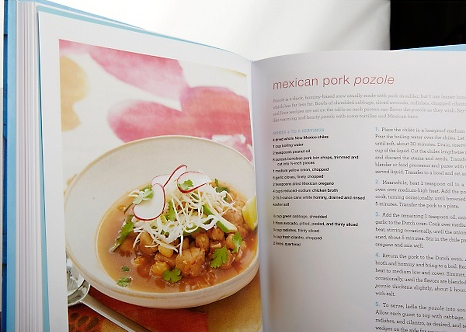 I already knew from following fiction writing authors online and going to signings that publishing a book requires WORK and perseverance and dedication but creating a recipe book involves on top of that other things you wouldn't need for regular books like photographers, a food stylus, studio, test kitchens, props and of course FOOD. Lots and lots of food. If you have ever seen the movie Julie and Julia you know how long it takes just to pick and test the recipes that are going to be in your book well now picture that process with the addition of the elements I just listed. 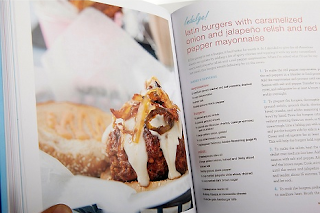 I know regular books can involve photographers and models and other things to make an image look great but that’s almost always for the exterior, the book cover, well a good recipe book has pictures of food on the INSIDE of the book too. This was definitely one of my favourite author signings to attend and not just because we got free food (Wahoo Ceviche). The signing went beyond what I expected. The topics that were touched on were – publishing restrictions in regards to Latinos and Hispanics, the impact of big industry farming, the problem with hunger in America, schools based on cooking helping disadvantaged youth to succeed, jobs in the food industry besides being a chef, ingredients from the 1920 and 1800s that no longer exist along with other things I am sure I have forgotten. After the presentation and chat there was the signing. I always buy a book when I go to a signing and Ingrid signed it and personalized it for my mom. My mom in fact had reached the store before me and she told me she got to have a long chat with Ingrid about her touring and I made sure she got a picture with her. I am happy my mom got this experience, she works so hard and always seems busy and doesn't really go out often (I think I get my introversion from her maybe) so I am happy I was able to share this with her. She said she couldn't believe she got to meet Ingrid and I am happy she did. Sorry I have no images from the actual event (except one with my mom and Ingrid) I left my camera in the car and my phone camera doesn't work.